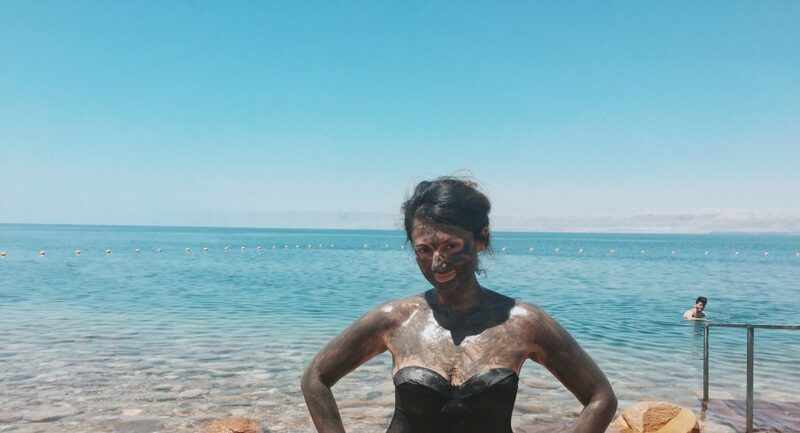 I’ve only seen the Dead Sea in the past for the cool views, but on this trip I was determined to actually take a dip into the water and experience a proper mud soak, which are both known for their natural healing and skin soothing properties. 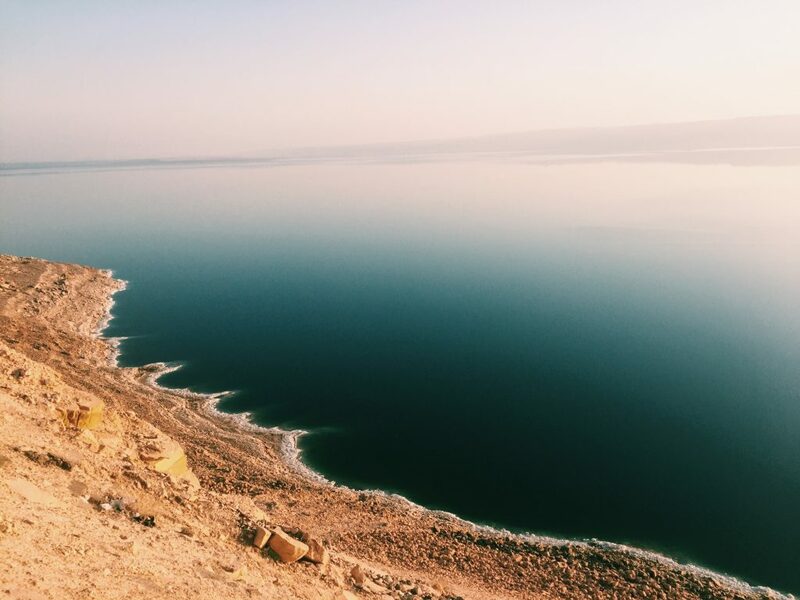 The Dead Sea is located just about 55 km from Amman, so a little less than an hour drive. 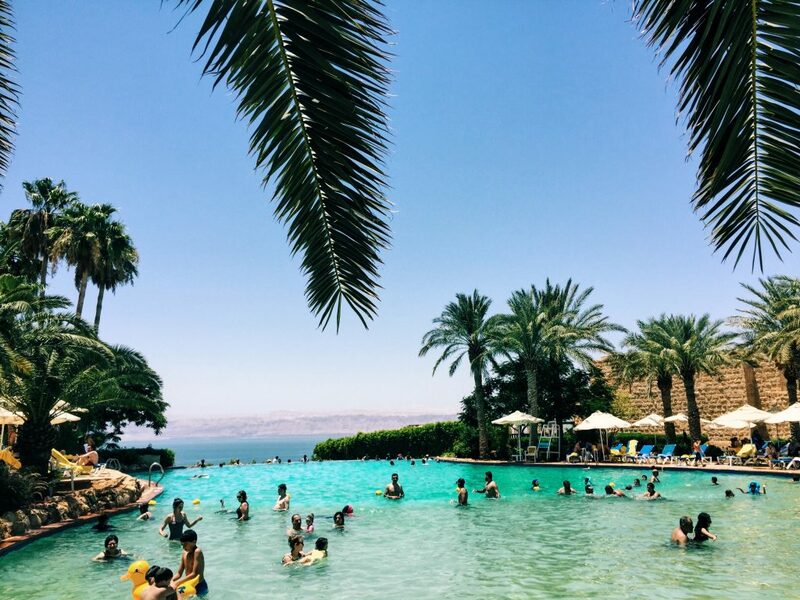 There are public beaches at the Dead Sea, but after some research we decided that staying overnight at one of the beachside resorts was preferred – and going to be way more fun. (The public beaches are about 15 JD, or $25 per person to enjoy if you’d rather take that route.) 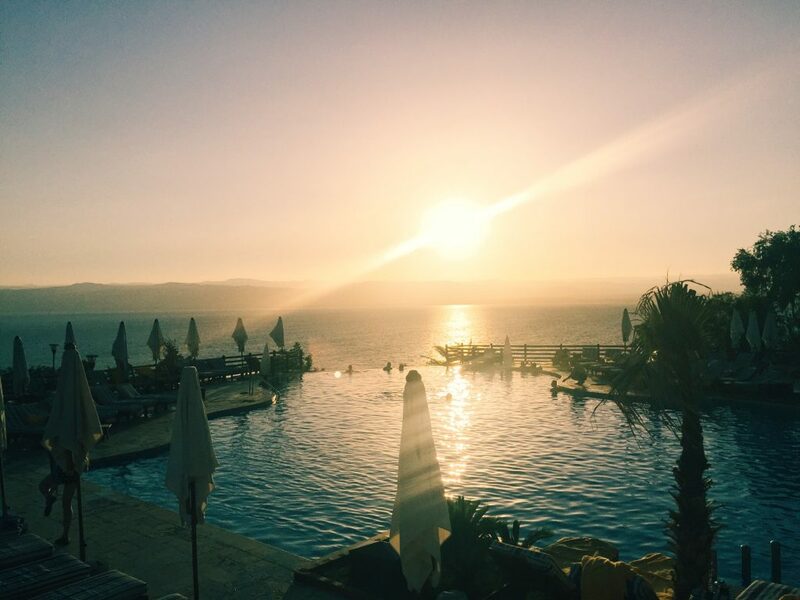 We booked one night at the Mövenpick Resort and Spa Dead Sea based on their Condé Nast Traveler feature (trust!). Some taxis will take you to the Dead Sea from the country’s capital, but we decided to call a car from the hotel, which promptly sent a van and picked us up as there were six of us going. Unfortunately for Jordan, public transportation options are currently limited despite the fact Amman has more people living in it than Los Angeles (which might explain the traffic problems for both!). The Mövenpick hotel was beautiful, laid out like a massive beachside village all the way down to the coastline. Jody and I had a drink at one of the hotel cafe’s while we waited for our room, which to our surprise was upgraded to the Sea View Suite (the second fanciest one in the whole place)! It was so beautiful that you almost don’t even want to leave the room, which had the most comfortable king sized bed, a dining room, a living room, two bathrooms with their own mini spas, two types of coffee machines, and best of all: two lounge chairs on a private terrace facing the Dead Sea. This is where you come to relax, people. Despite the beautiful room, we went over to the Marriott for a little pool party with the newlyweds and watched the sunset over Israel. It was beyond beautiful. 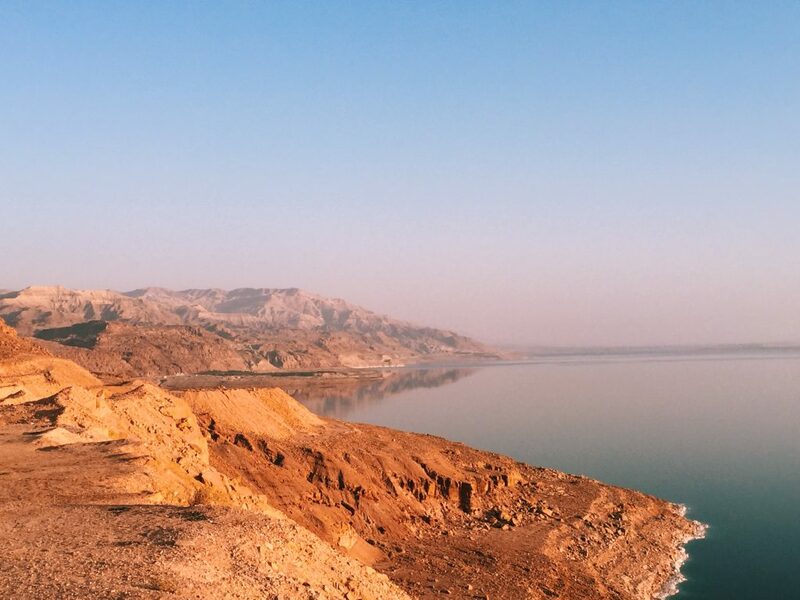 Nightlife at the Dead Sea is nothing to boast about. The Marriott had a belly dancer from 8:30-11:30 p.m., but after that, there really isn’t much to do as the restaurants and bars all close around then. So, Jody and I made our way back to our hotel, where we could hear Arabic music as we were strolling around the hotel grounds. We walked just past a corner and lo and behold, an outdoor bar and cafe. The singer was wrapping up, but the place stayed open for us, so we ordered a lemon-mint shisha (my fave) and some cocktails to go along with it before hitting the sack. After our ridiculously restful night’s sleep, we got up in the morning to have a coffee and watch the sunrise on our beautiful private terrace before having breakfast at the hotel cafe. Breakfast featured a mix of American, European, and of course an array of Middle Eastern delights to choose from. 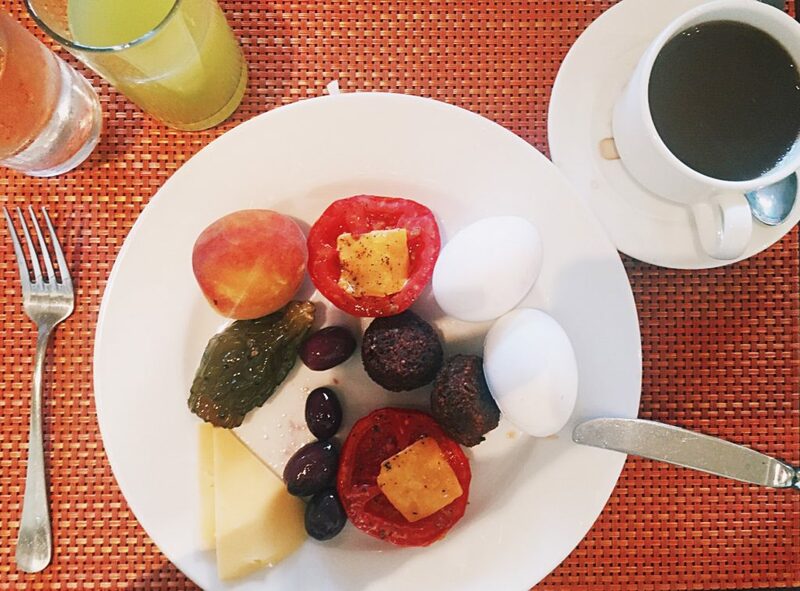 Since we were heading to the water right after our meal, I opted to keep it pretty light with some falafel, cheese, grilled tomatoes, olives (don’t go to Jordan without eating olives! ), a hardboiled egg, and some fresh fruit. And while I’m not much of a fruit juice fan, I had to try the tart green apple juice, which was pretty tasty. 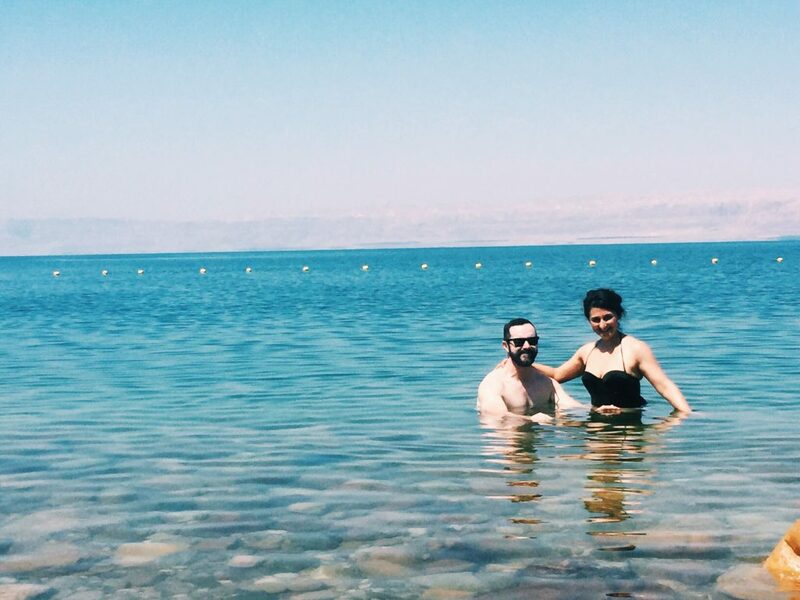 After we ate, it was time to accomplish what we first came to the Dead Sea to do, which was to take a dip in the salty sea itself. 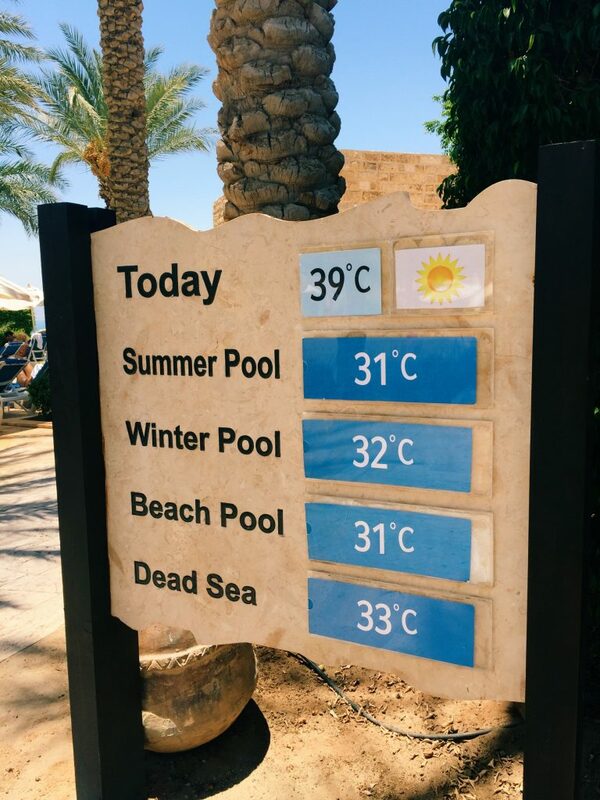 The sun felt a lot hotter than it did in Amman – apparently it was in fact like 15 degrees hotter – and we had quite a ways to walk down through the resort (which sits at the top of the coast) to the sea (at the bottom of the coast). So, we hailed a golf cart and made our way down. This is as far down the hill the golf carts will take you until it’s time to walk down the stairs the rest of the way. Not a bad view, though, right? The closer we got to the water, the heavier the air felt and saltier it even tasted. 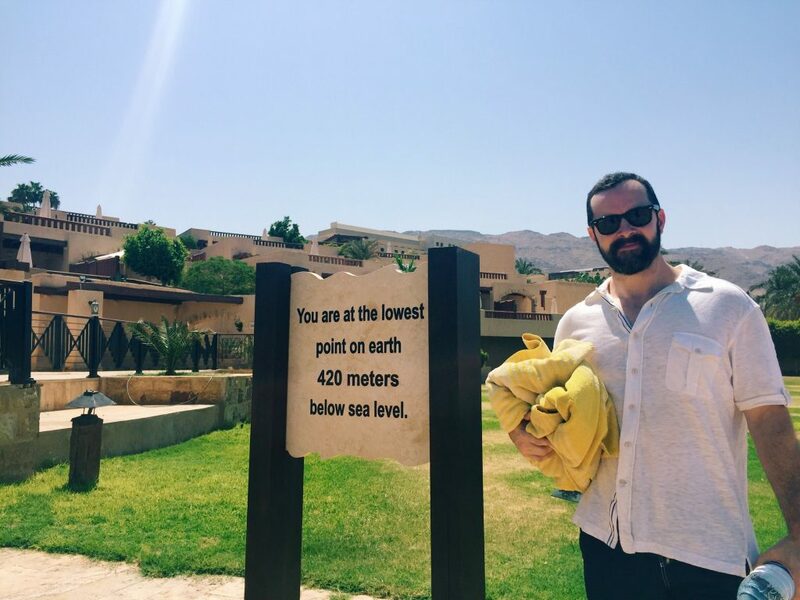 You would think so far below sea level that the water would be nice and cool – NOT THE CASE, MY FRIENDS. The water temperature was nearly as hot as the air around us. The beautiful view of the coast. The rocks are white because they are covered in salt. And at last, we made it into the water! Not the least bit refreshing. But yes, it’s salty as hell (just ask Jody’s eye balls) and yes, you totally do float in it! Because of the high salinity, it’s actually pretty challenging to swim in the water, too. Beyond the haze behind us is the West Bank/Israel. 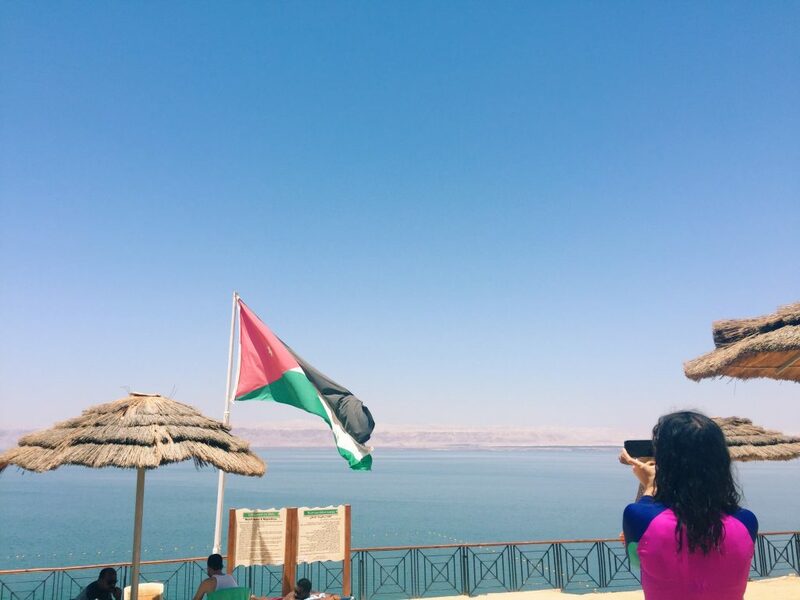 I can’t begin to describe what this experience felt like, bopping in the middle of this body of water between three territories with so much history and so much turbulence — and in this moment of ours, it felt like there was peace in the Middle East. On the sand, there is a vat of mud so you don’t necessarily have to dive into the water to uncover your own. It makes for great sun protection and leaves your skin feeling seriously amazing afterwards. I had a blister on my foot from dancing my booty off at the wedding, and it healed up pretty nicely thanks to the salt and mud combo. Healing powers! 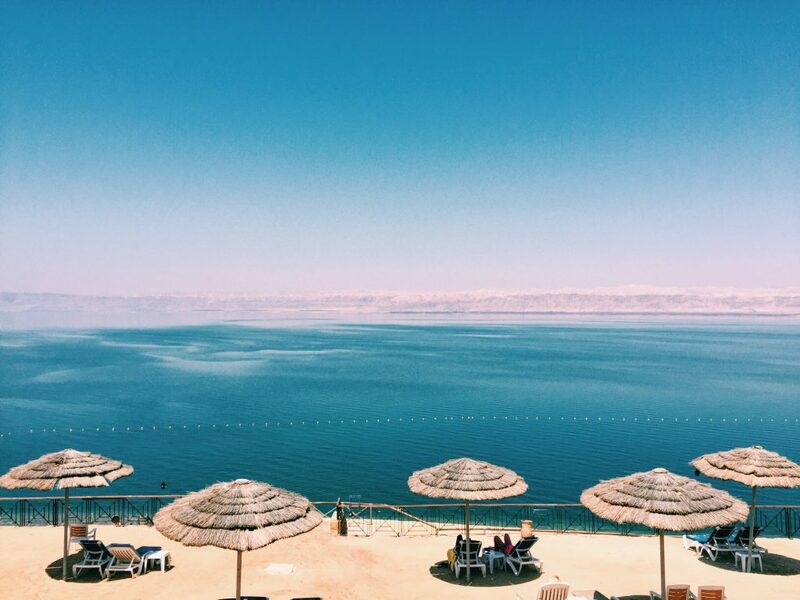 The Dead Sea beach isn’t sandy, actually, but you can lounge around just one level up from the coast. In case there was any mistake as to what side of the Dead Sea we were on, I document Kathryn documenting it. After our dip in the sea, we rinsed off by the water and decided we needed a proper cool-down in one of the resorts beautiful swimming pools. The shallow half of the pool is covered in sand at the bottom, while the deeper half of the pool is normal and has a breathtaking infinity view of the sea. At its edge, it was the perfect place to pause and reflect. This almost didn’t happen. 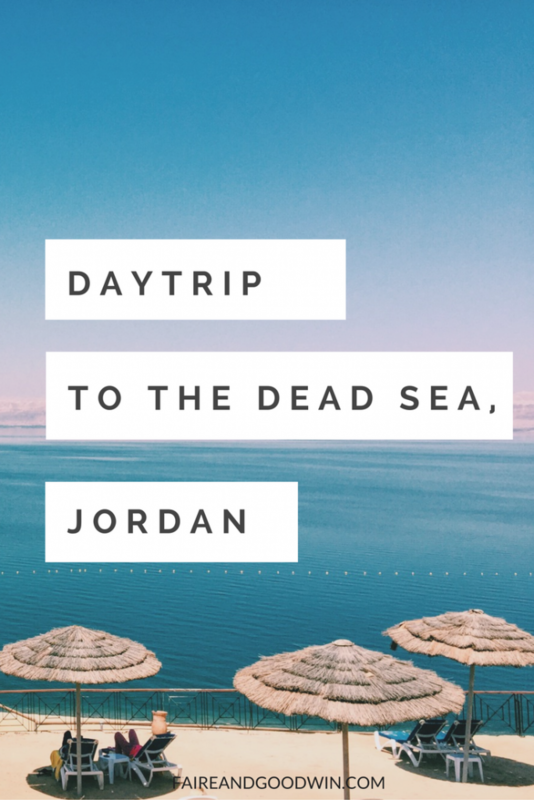 The Dead Sea was the last part of our trip we decided to book just two days before, thinking we might just skip it. I’m so glad we came here. 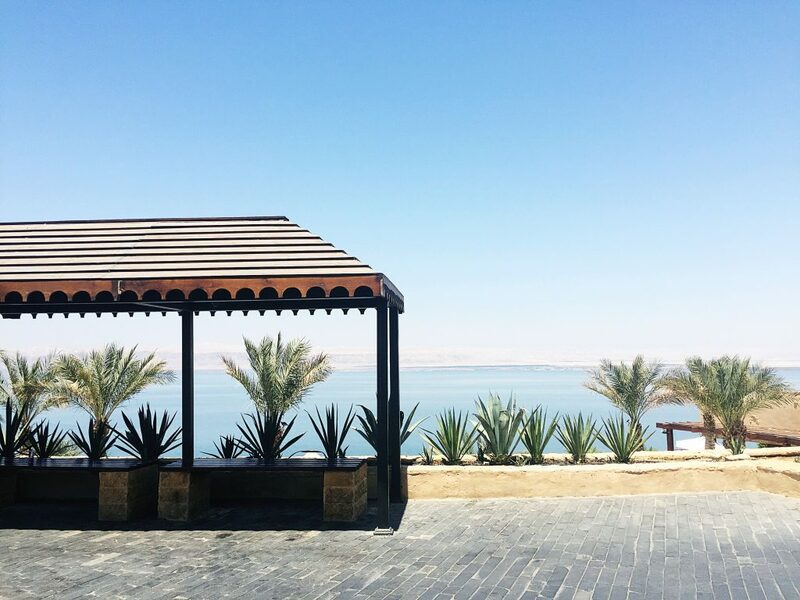 A huge thank you to the Mövenpick Resort & Spa Dead Sea for making our day trip one we won’t soon forget! 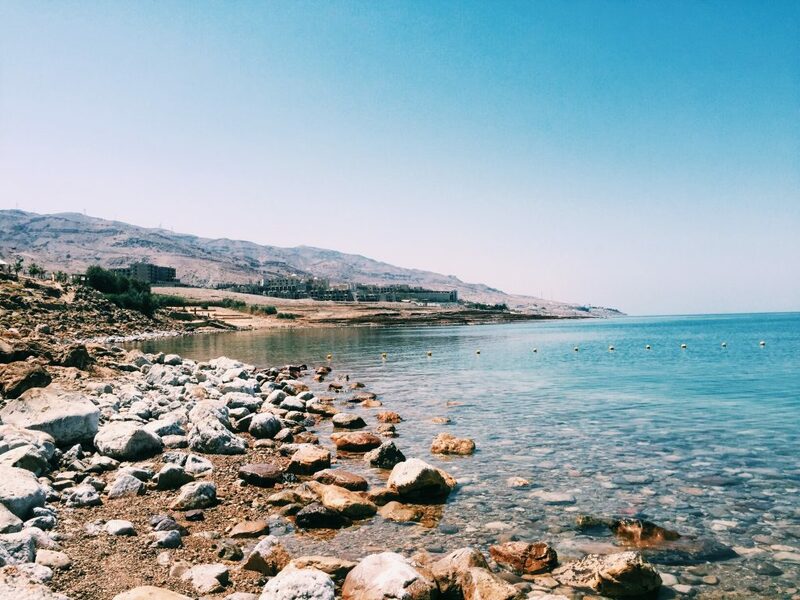 Up next, we’ll be sharing more from our trip to Jordan, including our visits to the Petra, Wadi Rum, and Aqaba. Please bookmark our blog and follow us on Facebook and Instagram! Nothing is off the table if you’re passionate and put yourself first. 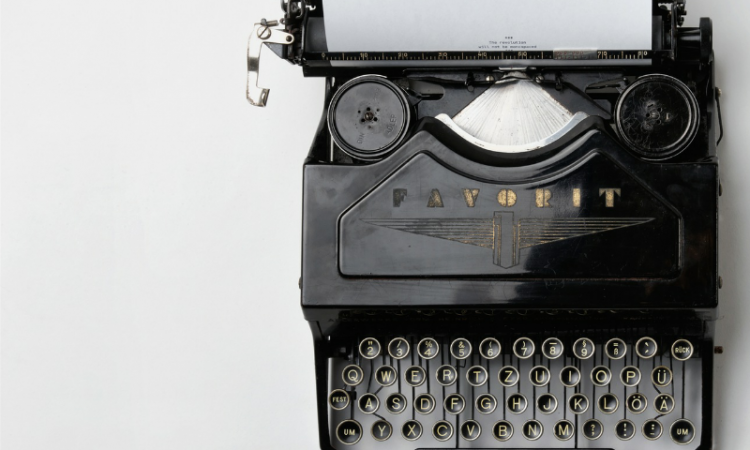 Our dreams are part of who we are, and certainly no job should keep you from you. 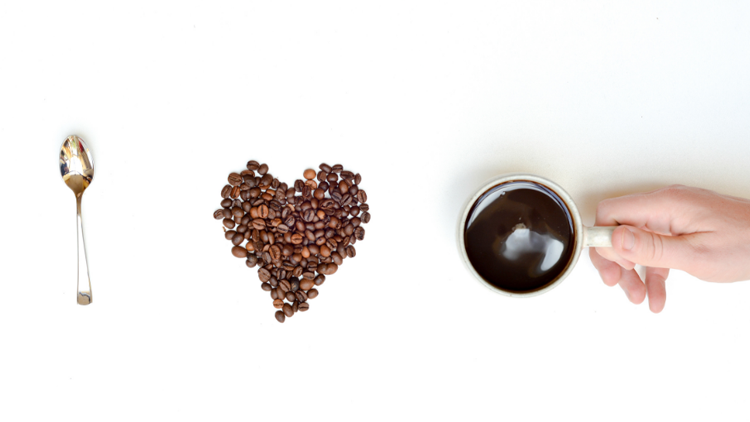 So for the last few months, I’ve thought about eliminating coffee to see if it would help me feel better. But thinking about something isn’t the same as doing something. It wasn’t until I stumbled across the Clean Program that I thought “maybe it’s time I give this a go.” I bought the book, prepared my mind and my kitchen, and started on the best day I could think of: a Monday. While I slowly decreased my caffeine intake to one cup a day before I started, the first couple days on the program itself were hard. I felt foggy, sleepy, and dull, but by day five I couldn’t believe it: I actually felt super energetic! Here are five green, white, or herbal teas that are helping me get by! My Whole30 is officially wholly complete! I can’t believe I did it, and aside from just a couple beers he had, Jody did it, too! The Whole30 is exactly what it sounds like – a 30-day nutritional program in which you eat nothing but whole foods in the hopes you’ll balance your hormones, reduce inflammation, and reset your relationship with foods. 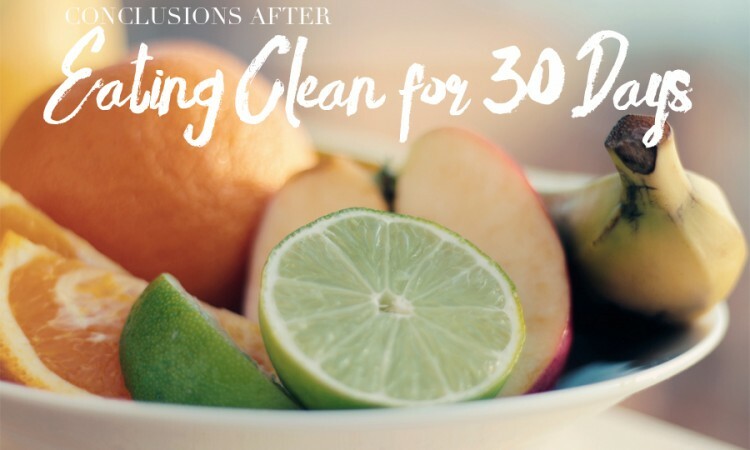 In this post, I’ll list the foods I eliminated, the foods I enjoyed, the benefits I got out of the Whole30, the things I didn’t like about the Whole30, and what this experience has taught me. Welcome to Faire & Goodwin! This is a place to share creations and creativity, endeavors and explorations, and reviews and revelations (not just ours!). 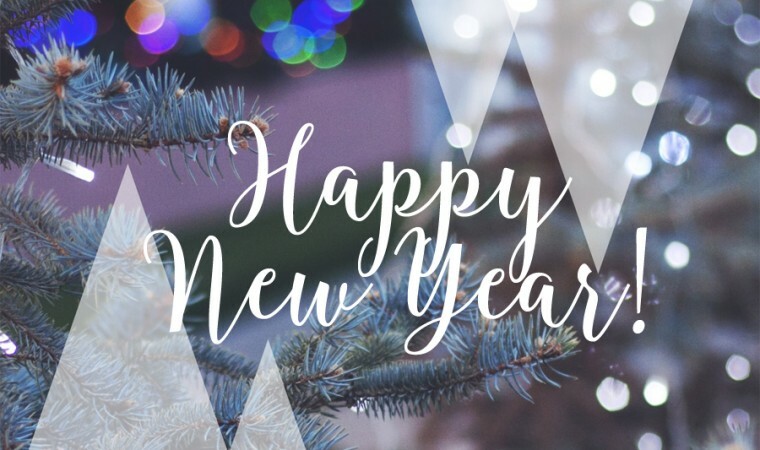 Whether it’s wall art, a recipe, a new look, or a playlist to get you pumped at the gym or at your wedding, in 2016 we’re all about building. 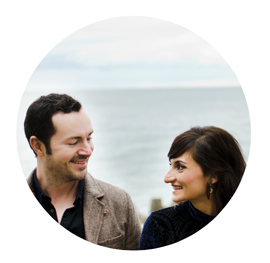 Visit Faire and Goodwin's profile on Pinterest. 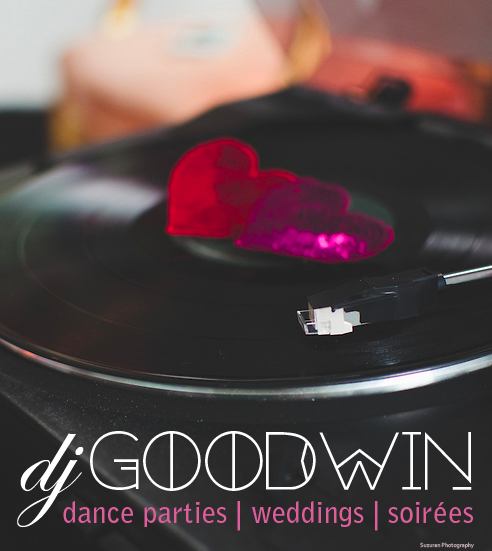 Copyright © 2016-2017 Faire & Goodwin, LLC. Site design by FACTEUR PR.